Scalp care is the new skincare. And an increasing number of spas are adding scalp “facials” to their menus — which promise that scrubs, treatments, and lengthy scalp massages for around $50 to $75 will reduce dirt, debris, and gunk that clog your follicles. This isn’t something NEW, we used to call them scalp treatments. But what is newer to the market, is at home scalp exfoliators. We are so excited for today’s guest blog post by our very talented Beauty Advisor Leigh Raeder. She is going to be sharing her knowledge on scalp care and how our new Royal Spa products can help you achieve an at home scalp facial. We encourage all of our UFO’s to share their industry knowledge with the field so we can all grow our businesses together. Hopefully, this post will not only teach you about scalp facials but also encourage you to write a post of your own about a product you are very knowledgeable on. Read on! LIKE THE SKIN ON YOUR FACE, YOUR SCALP CAN GET OILY. Just like the skin on your face, your scalp contains sebaceous glands that produce oil (sebum). In the right amount, sebum helps make your hair soft and shiny. Exfoliating can help gently scrub away oil and product build-up. Hairstyling products can also build up on the scalp, especially your favorite dry shampoo. 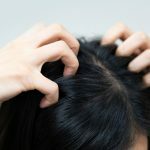 The current trend for dry shampoos and only shampooing the hair once or twice a week is not always a good thing for the scalp. 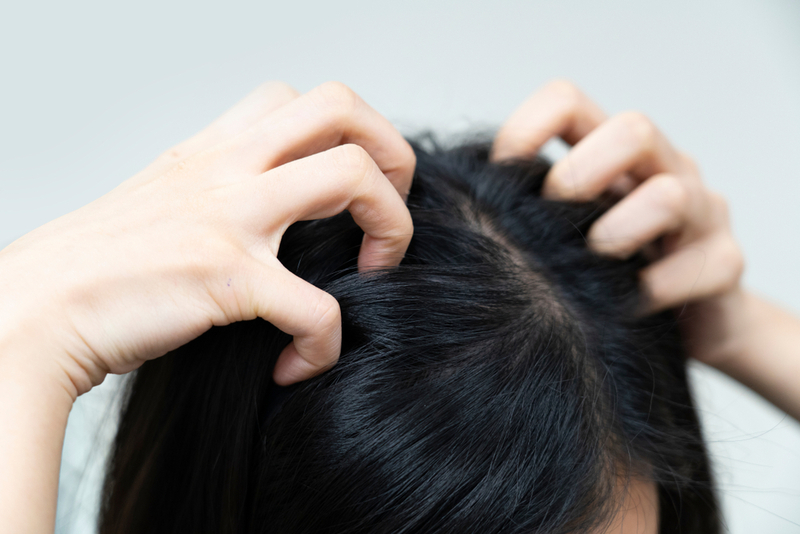 Even if you do shampoo multiple times a week, it doesn’t mean you’re getting everything removed from the scalp. There is a big difference between shampooing the hair and exfoliating the scalp, and if you are using a sulfate free shampoo, they don’t lather as much therefore they may not be breaking down everything on the scalp. The hair follicle looks and acts very much like the pores on your face. Just as bacteria and dirt in the pores can cause acne and irritation, so, too, can it affect the hair follicle. You can get build-up from using products, especially if they’re silicon-based. THE GOAL IS TO NORMALIZE YOUR SCALP-HEALTHY SCALP EQUALS HEALTHY HAIR. I recommend using Royal Spa Scalp Revival Scrub to exfoliate your scalp 1-3 times a week. Formulated with salt granules, this exfoliating formula soothes the scalp by helping to eliminate product buildup and dead skin. It is also formulated to balance and leaves the scalp feeling smoother. Royal Spa Scalp Revival Scrub is safe for color-treated hair. It is a sulfate-free hair cleansing product. Use it in place of shampoo by squeezing one tablespoon onto wet hair and delicately massage the scalp. Add water as needed and lather to cleanse. Rinse thoroughly and follow with a conditioner. I would even consider using a deep conditioner. It’s also NOT tested on animals.